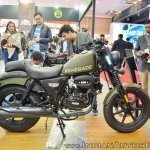 The UM Renegade Duty S and the Renegade Duty Ace will be launched in India in Q1 2019, IAB can confirm. 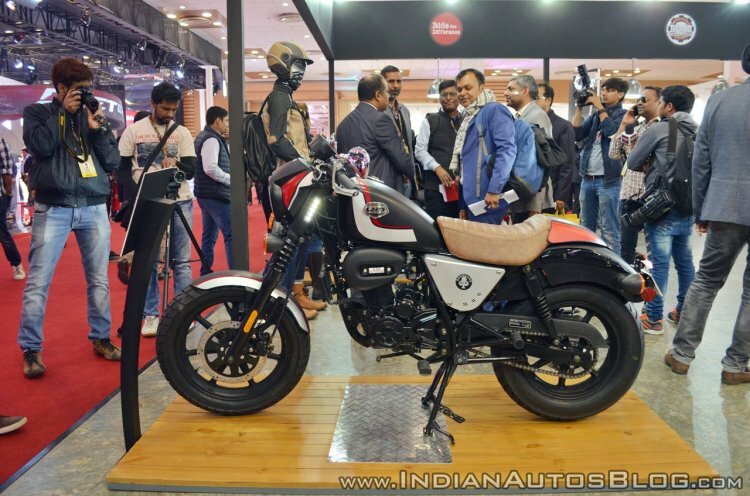 UM Lohia Two Wheelers announced the price of the UM Renegade Duty S and the Renegade Duty Ace at the Auto Expo 2018 in February. The UM Renegade Duty S gets a design inspired by the Harley Davidson Iron 883. 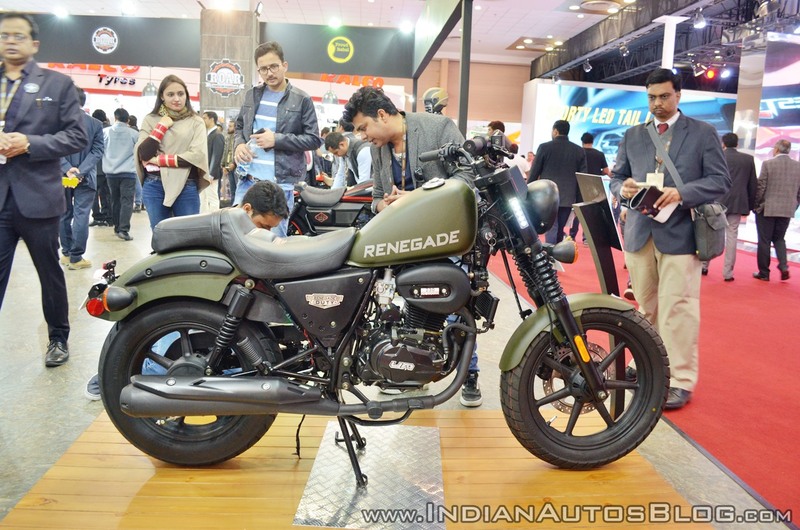 With new safety norms set to take effect 1 April 2019, UM Lohia Two Wheelers have decided to introduce the UM Renegade Duty range with the significant upgrades. The motorcycles will receive ABS as standard. We’re ready with the launch of the Duty for September as we’d announced earlier, however since the norms are changing 2019 onwards, we thought it would be wise to bring a product to market with all those relevant upgrades, which will take us another 2-3 month. 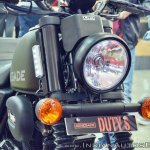 Hence, we’ve decided to bring the Duty Ace and the Duty S to the Indian market in the first quarter of 2019. 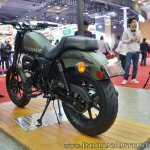 The UM Renegade Duty S will rival the Bajaj Avenger 220 and the Royal Enfield Classic 350. The motorcycle features a compact yet contemporary cruiser design language, which is reminiscent of the Harley Davidson Iron 883. Apart from the fenders and the fuel tank, the Duty S receives matte black underlining to its peripherals. 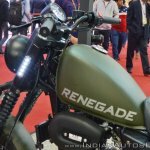 On the other hand, the UM Renegade Duty Ace comes with a dual tone paint scheme for the fuel tank and fenders, and a flat handlebar, while the rear seat comes with a cowl. 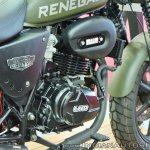 The Renegade Duty range features chunky 41 mm front forks and twin coil-spring shock absorbers at the back. 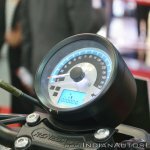 The bikes come equipped with a digital instrument cluster with a gear position indicator. The UM Renegade Duty sources power from a 223 cc, single cylinder engine with oil cooling. The carburetted motor is capable of producing 17 PS of maximum power at 8,000 rpm while generating a peak torque of 17 Nm at 5,000 rpm. A 5-speed gearbox works in harmony with the engine. The Renegade Duty S has a kerb weight of 142 kg while the Renegade Duty Ace tips the weighing scales at 140 kilograms. 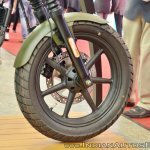 The motorcycles come shod with 17-inch front alloy wheels with 120-section tyre and a 15-inch rear alloy wheel with 130-section tyre. The UM Renegade Duty range gets a ground clearance of 180 mm while the fuel tank capacity is 10 litres. The bikes have a company claimed fuel economy of 41 km/l. Braking power will come from disc brakes at both the ends with standard ABS. 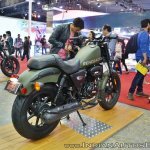 However, it is yet to be seen whether the company will offer a single- or dual-channel ABS unit on the bikes. The UM Renegade Duty Ace features a dual-tone paint scheme, lowered handlebars and a cowl on the pillion seat. 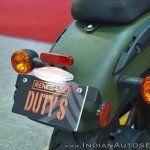 The UM Renegade Duty S and the Duty Ace, as per the Auto Expo announcement, are priced at INR 1.10 lakh. However, with the introduction of ABS, prices are likely to go up. 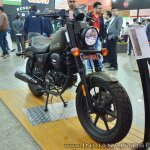 In comparison, the Bajaj Avenger 220 costs INR 94,464, while the Royal Enfield Classic 350 gets a price tag of INR 1.39 lakh (all the prices are ex-showroom Delhi).